Njabu joins NSR as our first analyst in the Africa region from December 2018. She is based out of Johannesburg, South Africa. 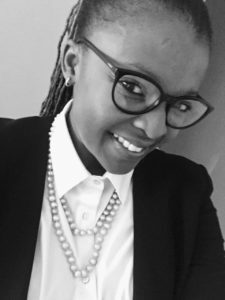 Before joining NSR, she spent 2.5 years in the Satellite Telecommunications sector working at SES as a Senior Analyst within the Strategy and Market Intelligence business unit servicing the Sub-Saharan Africa sales teams and market solutions groups. Her main focus in her role was on market intelligence in video broadcasting via satellite solutions within the Sub-Saharan Africa region. Her specialties lie in market Intelligence, consumer and competitor analysis, satellite industry analysis, African video and telco verticals, and Sub-Saharan Africa. Prior to her tenure at SES, she spent 9 years at the Nielsen Company in various research roles which spanned from Research Analyst to Associate Director within the Innovation Optimization and Retail Measurement Science business units. Ms. Hlanze holds a Bachelor of Commerce in Economics and Finance and Postgraduate Diploma in Marketing Management from the University of Cape Town.